Description: Moody Ally is always a bit unsure when she needs to get a haircut. But you're the right person for the job! 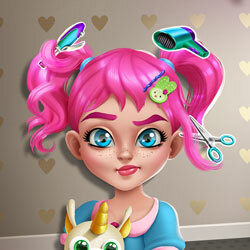 Style her hair and then select a great outfit and a toy for her to play with. You'll even be able to pick her mood for the rest of the day!